January 1, 2019	1:16 PM CDT By W. T. Whitney Jr.
Delegates of Cuba’s National Assembly of People’s Power on December 22 unanimously approved extensive revisions proposed for Cuba’s Constitution of 1976. The Assembly authorized a national referendum on acceptance or not of what is in effect a new constitution. That vote takes place on February 24, the day in 1895 when Cubans launched their second War of Independence from Spain. The constitutional change responds to new realities and old problems confronting Cuba’s brand of socialism. A new generation of political leadership has materialized, as has increasing dependence on foreign investment, new property-ownership patterns, and new forms of private enterprise. Meanwhile, U.S. hostilities and economic blockade persist, economic productivity lags, personal income is low, the debt load increases, and costs for importing goods are high. 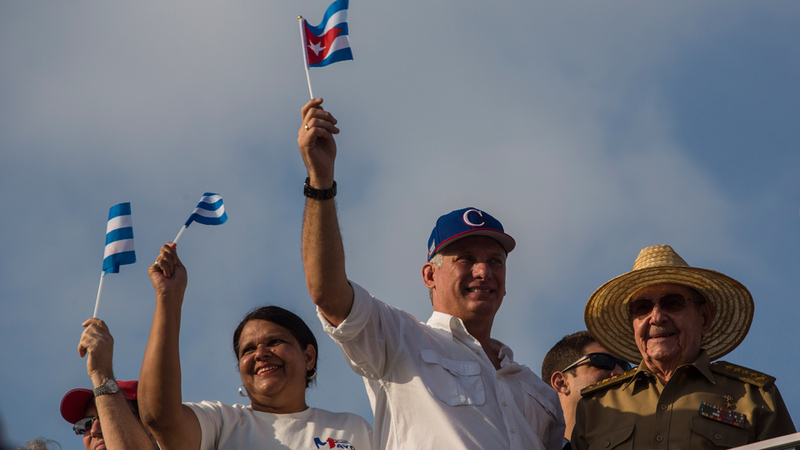 The project, envisioned over the course of several years, began in earnest two months after Miguel Díaz-Canel became Cuba’s president. On June 2, the National Assembly appointed a 33-person commission “of deputies and experts” to draft proposed constitutional changes. 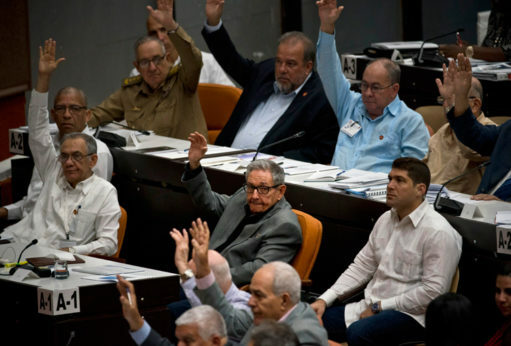 The commission, headed by former President Raul Castro, deliberated and on July 22 secured National Assembly approval for its proposed modifications, which are summarized here. The Assembly authorized a three-month period of national discussion of the draft Constitution beginning August 15. By November 15, 133,681 meetings had taken place throughout the island. The 8.9 million people attending them had offered 1,706,872 commentaries. These boiled down to 783,174 suggested modifications, additions, eliminations, and requests for clarification. Cubans living abroad also participated. Then the drafting Commission, in consultation with legal experts and academicians in various disciplines, spent five days studying these suggestions from the communities, grouping them into 9,595 categories and deciding which ones should be incorporated into the draft constitution. Top leaders of the Councils of State and of Ministers were involved. The next step was deliberation in the National Assembly. Eventually, 50.1 percent of the citizen recommendations appeared in the version of the constitution approved on December 22, actually in 134 of its 229 articles. The revised document contained 760 changes ranging “from a word or a phrase to incorporation of a paragraph or complete article,” according to Secretary of the Council of State Homero Acosta, who facilitated discussion in the Assembly. Most of the rejected suggestions, he said, had content inappropriate for a constitution. Many of the suggested changes were small. For example, “Cuban citizens” became “the Cuban people.” The term “proletarian internationalism” was added. “Capitalism” was newly described “as a regime sustained by the exploitation of man by man.” The words “and of social justice” were added to “Cuba is a socialist state of law.” “Marxism and Leninism” replaced “Marxism-Leninism,” which is a “formulation with Stalinist coloring,” according to Acosta. Some draft proposals were of more interest than others. For example, the one stipulating that marriage involves two persons and no longer husband and wife didn’t pass muster for 192,408 of those speaking up in the community meetings. Evangelical Protestants had agitated for rejecting normalization of gay marriage. Acosta justified a watered-down version of the reform stating that marriage is a matter of union between “two spouses,” with gender unspecified. He pointed out that further liberalization may occur in the context of a new Family Code to be unveiled in two years. The provision of the new constitution limiting Cuban presidents to two consecutive terms was unpopular with 88,039 commentators. That he or she must be younger than 60 years of age at the outset of a presidential term worried 24,035 of them. Direct election of presidents was popular with 16,176 of those who reject selection by the National Assembly. The original proposals remained, however. Reacting to the nature of work being cast as a “basic value” and a “duty,” 51,414 commentators called for work to be made “obligatory.” Determination of salaries by “quantity, quality, complexity, and results” didn’t satisfy 12,558 community people who prefer salaries being tied to prices paid for needed goods. Neither group of dissenters prevailed. Indeed, as reported by the Communist Party’s Granma newspaper, a remarkable discussion occupied the National Assembly prior to its vote on December 22 approving the draft constitution. Dozens of Assembly delegates spoke and suggested even more changes. A member of the drafting commission responded in every instance, accepting or rejecting the proposal, and giving reasons. The picture was of serious purpose, orderly discussion, tolerance of contrary views, and underlying unity—in short, democracy at work. A government arriving in power through revolution seeks permanence. A new constitution may be useful in that regard. It often expresses dominant values of a society and certainly creates guidelines for governance, hopefully enduring in both cases. Cuba’s constitutions include one in 1902 following independence from Spain, another in 1940 viewed as progressive, and one more in 1976, 16 years after the current revolutionary government gained power. As befits a socialist society, the new constitution on the horizon now is about the welfare of all Cubans. It also looks to preserve the socialist nature of Cuba’s government. Importantly, this new constitution will symbolize permanence for Cuba’s socialist project which began 60 years ago. W.T. Whitney Jr. grew up on a dairy farm in Vermont and now lives in rural Maine. He practiced and taught pediatrics for 35 years and long ago joined the Cuba solidarity movement, working with Let Cuba Live of Maine, Pastors for Peace, and the Venceremos Brigade. 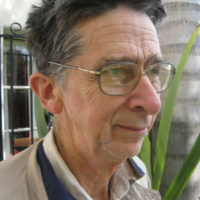 He writes on Latin America and health issues for the People's World. Which has failed—capitalism or socialism?